Inspired by a song - there are so many options that I didn't know where to start and I just wasn't feeling it this year, but in the end I did a mani that I've wanted to try for a while. 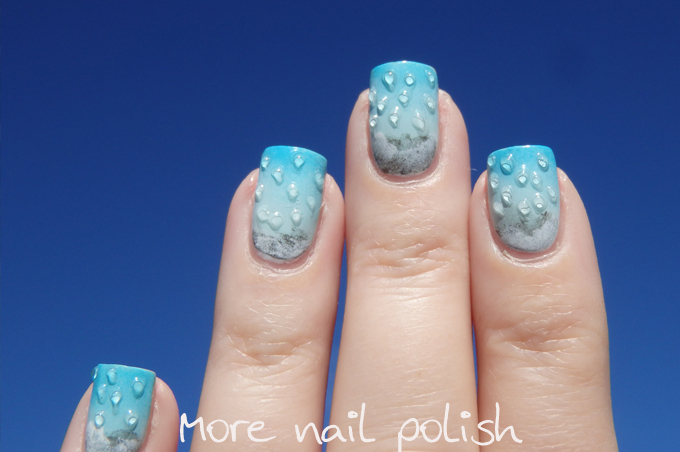 Rain drops using gel polish. There are plenty of songs about the rain, so I'm not going to pick just one. Rather than making this a dark and stormy rain mani, I went with a spring shower theme. As such I did a soft blue gradient for the background. I then added some white and grey clouds at the top. 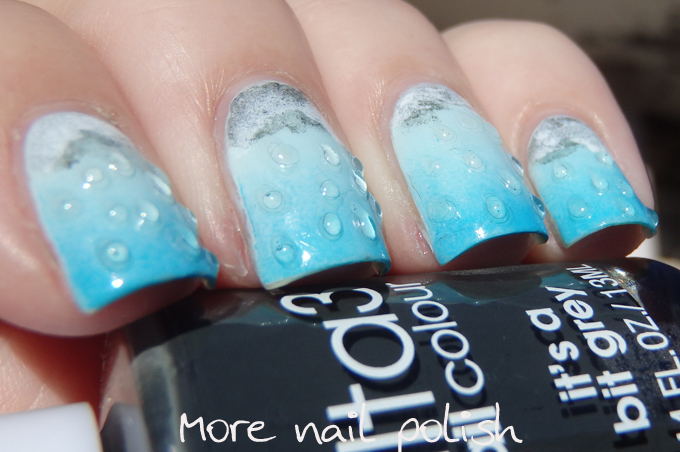 To create the rain drops, I used a dotting tool and dotted on some elongated dots to look like drips. I then cured them under the UV lamp. 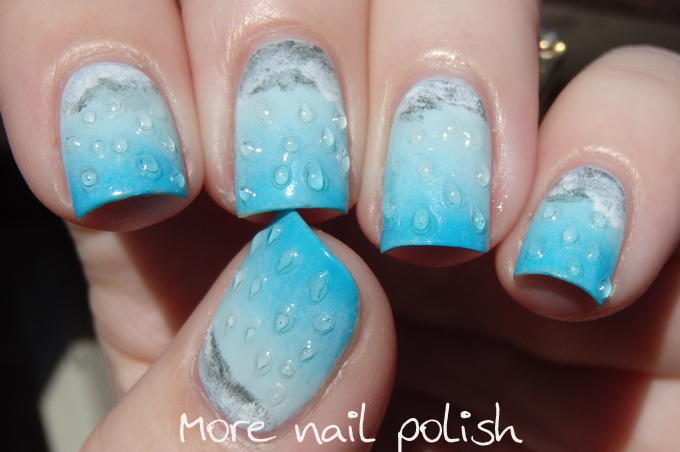 I did this three times to really build up some depth in the rain drops. This mani was interesting to look at and and fun to wear, cause I kept playing with the tops of my nails to feel the smooth lumpy texture. My Inspired by a song nails from 2013! Cute! A 3 D mani. Oh my goodness, there is no end to your imagination and creativity, it's a win win for us. I love this. What an interesting design! Great work! This is so cool, the 3D droplets look awesome!